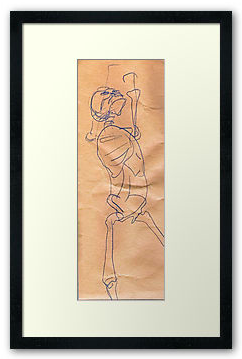 Graphite sketch of a skeleton reaching and grasping. From a series of skeleton studies. 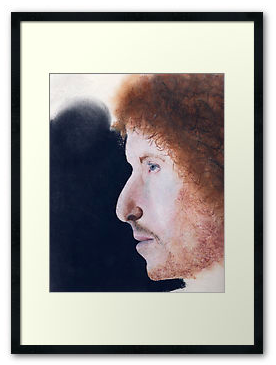 Classic profile portrait of Bob Dylan in colored pencil. Part of a series of popular musicians. 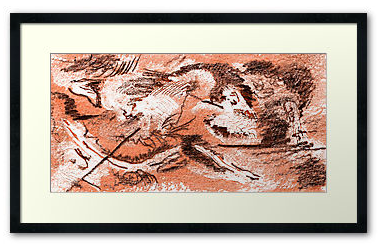 An Impressionistic work in gouache of The Red Panda’s Pastoral Symphony.